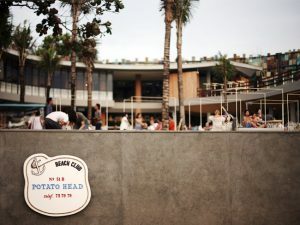 Potato Head Beach Club If you are vacation in Bali, do not forget to visit BALI VILLAS SEMINYAK and do not miss the restaurant and bar. 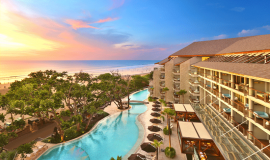 Potato Head Seminyak Bali is one of the compulsory destination for tourists who want to see the sunset. 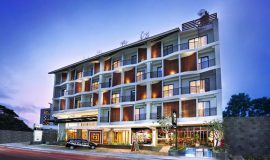 Located on Jl. 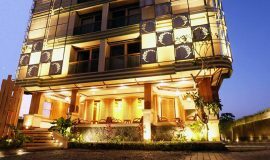 Petitenget, Seminyak, Bali Potato Head offers modern-classic atmosphere is very thick. 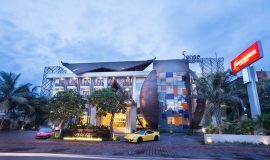 Designed by architect Indonesia, “Andra Martin”, the building is adorned by asymmetrical installation of hundreds of obsolete window, has a stunning view of the beach Petitenget. 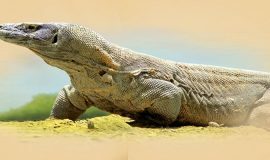 In addition to the restaurant is still many other eating places and hotels and BALI VILLA ACCOMMODATION also unbelievably much would you visit in Bali. 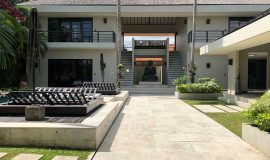 Potato Head Seminyak Bali is divided into several areas, including Bench, Pool side and the Bar Deck spot near the pool with a view overlooking the sea directly. Because of the position in the pool is one of the best views, if you want to sit in this area. For those of you who want to have a romantic dinner, Potato Head Bali offering attractive deals. The plan, a restaurant and bar that opened at the end of 2010 will be launched Fine Dining area on November 21, 2011 last. 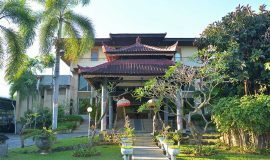 The BALI VILLAS own recommendation some restaurant that in going to work with, especially, and the guests will not be disappointed during the stay in Bali and the atmosphere is cosy and quaint so pronounced because of the use of wood floors, old style furniture arrangement, and some decoration design style restaurant. To complete the relaxed atmosphere, the music like, neo-soul, boogie, funk create casual events at Potato Head Bali is much more special. 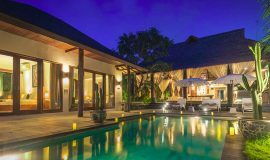 Talking about Bali cannot be separated by culture, or BALI VILLA hotels and restaurants, will be less if you do not talk about food and drink. For the main course, which is mainstay in Potato Head Bali is beef burger and Philly Steak Sandwich. For cocktails, Potato Head Bloody Mary and the best-selling Kookaburra served. For the main meal, which became the mainstay Potato Head Bali is Beef Burger and Philly Steak Sandwich. As for cocktails, Bloody Mary Potato Head and Kookaburra, is the most widely ordered, overall the restaurant and bar is a fascinating place thanks to creative interior design coupled with a variety of food and beverage offerings diverse. The atmosphere is casual and the coastline was the main attraction. Hanging out in the restaurant potato head feels very comfortable and feels good to linger long here once and eat here when I ordered a burger and fries menu and burger taste yummy and reasonably also delicious taste. 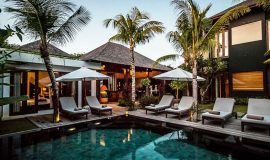 Bali is not complete if you have not been to BALI A ACCOMMODATION also unbelievably much would you visit in Bali. 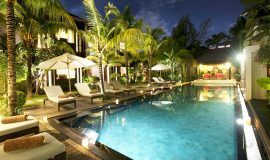 Potato Head Seminyak Bali is divided into several areas, including Bench, Pool side and the Bar Deck spot near the pool with a view overlooking the sea directly. Because of the position in the pool is one of the best views, if you want to sit in this area. For those of you who want to have a romantic dinner, Potato Head Bali offering attractive deals. The plan, a restaurant and bar that opened at the end of 2010 will be launched Fine Dining area on November 21, 2011 last.